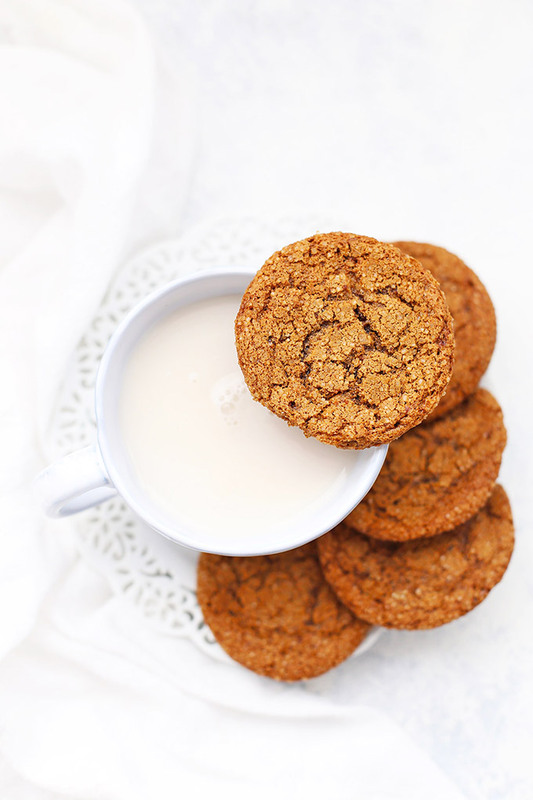 Paleo Ginger Cookies – These grain free, dairy free ginger cookies are absolute perfection! Lightly crisp edges and tender in the middle (or not! Your choice!). Originally posted Sept. 2015. Recipe, post, and photos updated Dec. 2017. I love hearing other people’s favorite holiday foods. Everyone seems to have a few foods woven throughout their holiday traditions, whether that’s fondue on New Year’s Eve, or waffles for Christmas breakfast, or a special cake for Christmas Eve. Second is chilling the dough and using parchment paper. For a long time, I used to think it was one of those superfluous fancy baking things that people like Martha Stewart and Ina Garten used because they could. Sort of like imported Japanese tea, or Swiss chocolate, or vanilla extract made from the tears of virgin milkmaids. Let’s talk almond flour. You really want to use finely ground, blanched almond flour. It’s got the finest grain and makes a BIG difference in how these bake up. I’ve had good luck with Honeyville almond flour , Trader Joe’s blanched almond flour, etc. Sweetness. 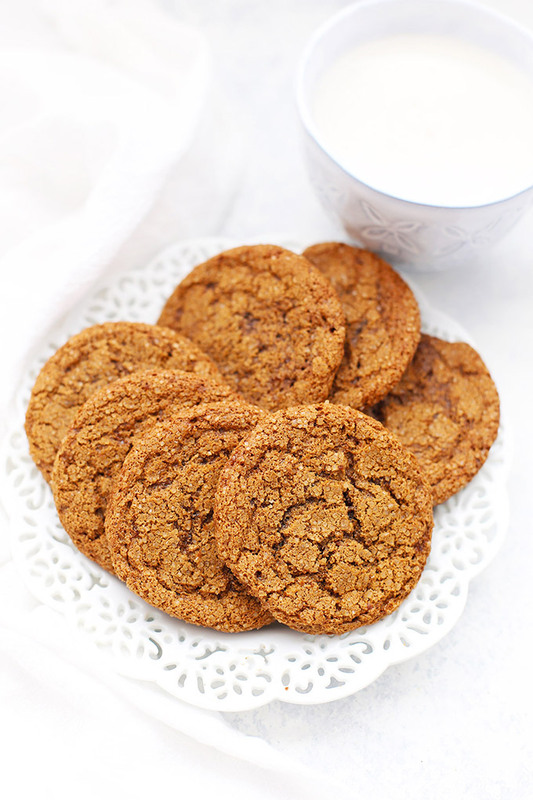 I’ve made these with both coconut sugar and maple sugar. They’re delicious either way. 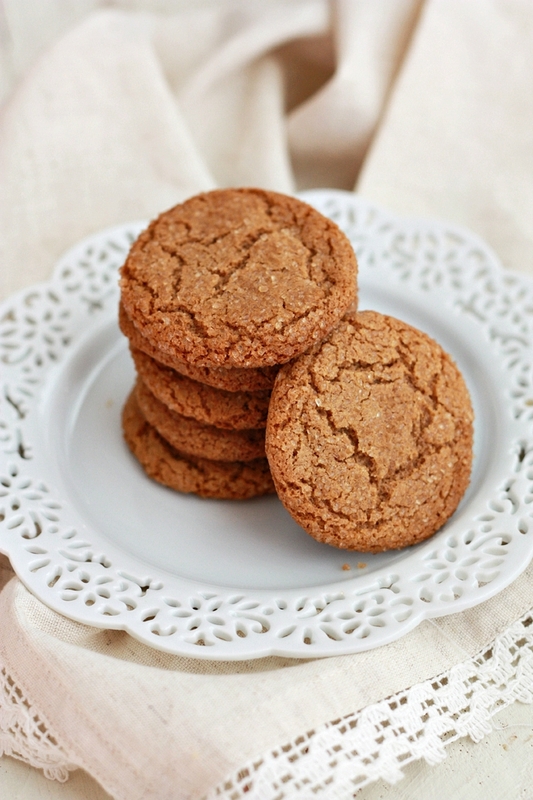 If you don’t have either one (or don’t follow a paleo diet), you can substitute half white and half brown sugar. Second, I know that turbinado sugar is NOT paleo approved. It’s an optional step, and one I’m happy to take during the holidays for a treat. I really love the crispy, sugary crunch it gives to the outside of the cookie (not to mention the sparkle! ), but if you’re strictly paleo, you can skip that step. A note on shortening. If you’re rolling your eyes at the idea of using shortening, I understand. I use Spectrum or Nutiva brands (non-hydrogenated and more sustainably sourced). If you’re not dairy free, butter would also work, so feel free to substitute it in, if you prefer. In a food processor (or stand mixer, or a bowl with a hand mixer), combine shortening and sugar. Add vanilla, molasses, and egg. Pulse (or mix) to combine. Add spices, salt, baking soda, almond flour, and arrowroot, and pulse to combine. Dough will come together in a big ball. Transfer cookie dough to a bowl. Cover and refrigerate at least 30-60 minutes. Pour turbinado sugar into a small dish. Scoop 1″ balls of dough and roll into balls. Dip tops of the balls in sugar and place on a baking sheet lined with parchment paper or a silicone baking mat. Bake 8 cookies at a time at 350 degrees for 10-12 minutes, or until golden around the edges. Let cool 2-3 minutes on baking sheet before transferring to a cooling rack. ..the tears of a virgin milkmaid… You’re such a fun writer! These look and sound amazing. Seeing your happy children enjoy them makes me want to get started baking today! Terrible!!! Way too much baking soda. I’m so sad.. what a waste of ingredients!! I’m sorry you didn’t like them. We just love them! We gift and share them every holiday season. 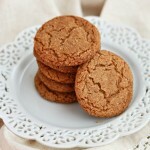 My husband LOVES ginger cookies! They’re his favorite! Ill have to make these for him soon! These look delicious! Do you think I could use coconut oil instead of shortening or butter? I made these and love the flour combination! 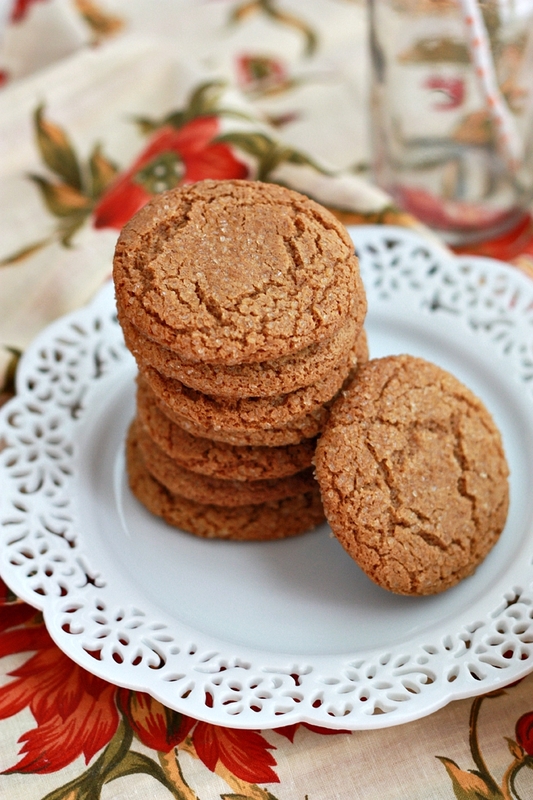 The texture is great and the cookies look so pretty. I was wondering about the baking soda, could I cut that to 1tsp? Or would it make them flat? Asking because I can taste baking soda easily in almost anything, and could in these too. Thanks for this recipe, I’m going to look at your others now! I ended up making my cookies half the size of the recommended. I found the smaller cookies easier to bake consistently and it means I have more for people to sample at our event tonight. 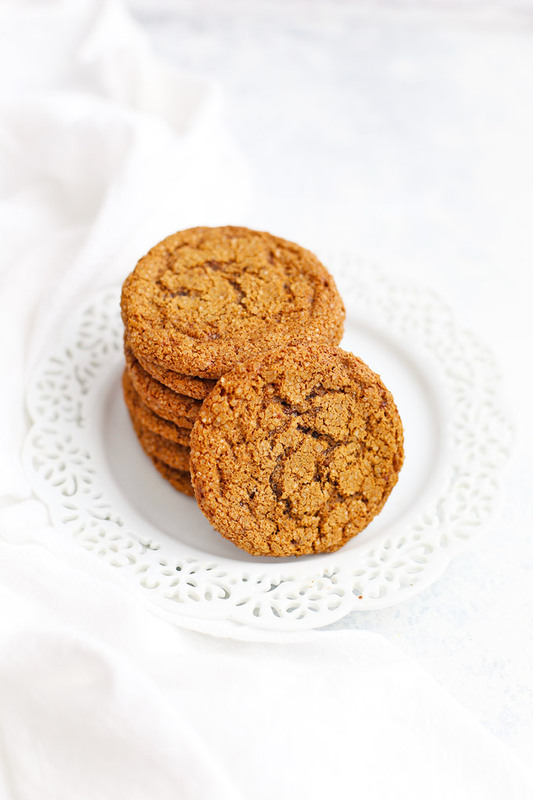 These are beautifully chewy or you can leave them in longer for a darker crisp ginger cookie. I bet they’d be great smaller for little bites! What a cute idea! Why just 8 cookies at a time? Is it to keep the dough from getting too warm or what? Looking forward to trying this recipe. Can we use all almond flour if we don’t have any arroroot flour? 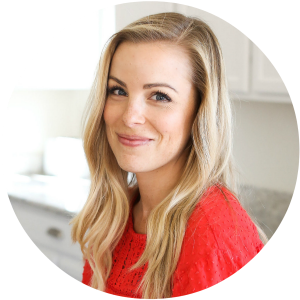 Jennifer – I’d recommend adding another starch (cornstarch if you can, or tapioca starch). All almond flour will be a bit more dry and crumbly. The starch helps bind it and gives it some softness. powder) and perfect. yum, will be making them weekly I reckon. thank you Emily! Thank you so much for sharing Carrie!!! These are so crispy and tasty that we all look forward to baking these. 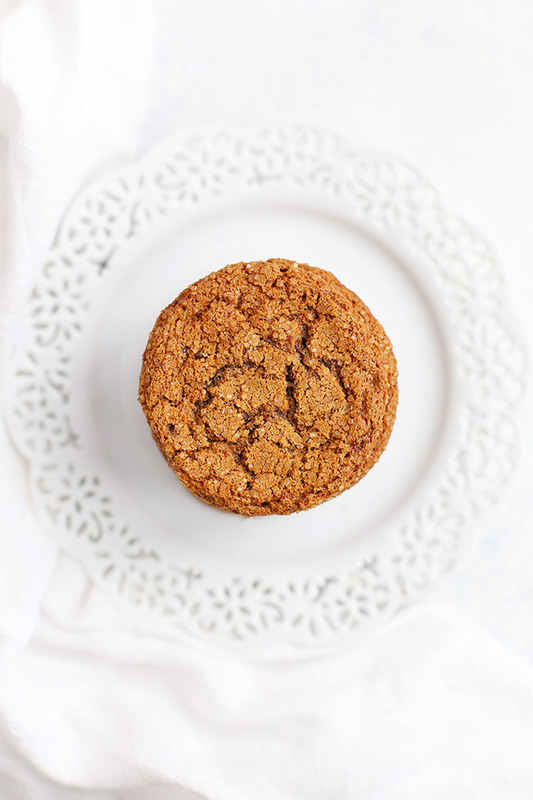 I’m Paleo because grains make be ill but cookies like these make no looking back so easy. Do you happen to know the nutrition breakdown? Mostly carbs? Really do not like these. Too much salt too much baking soda. 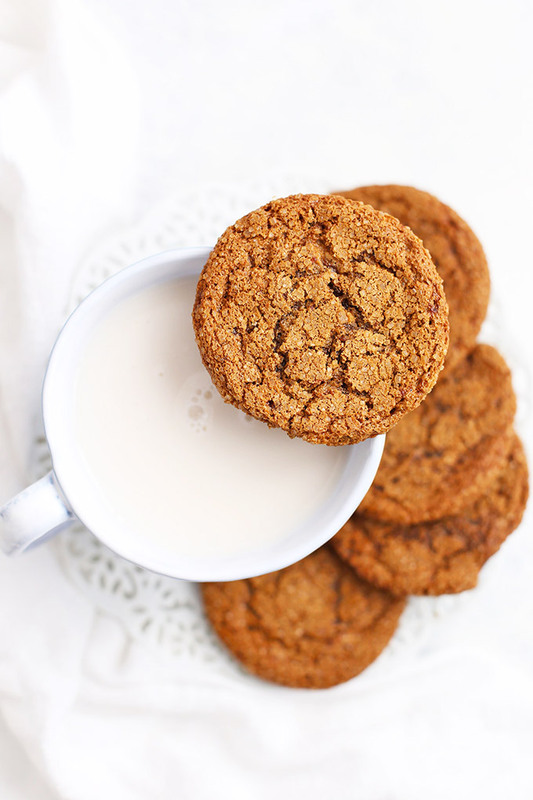 Not enough ginger or cinnamon. Maybe a little bit more molasses. I’m sorry to hear that. Sounds like you have some good ideas for next time you make them!